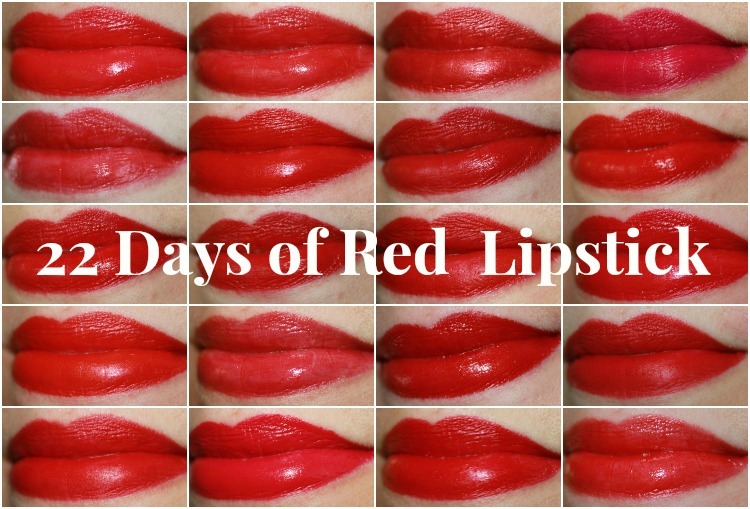 Welcome to day seven (my lucky number) of the 22 Days of Red Lipstick series. Today I have a lipstick that I feel every single person who loves a matte red should own. 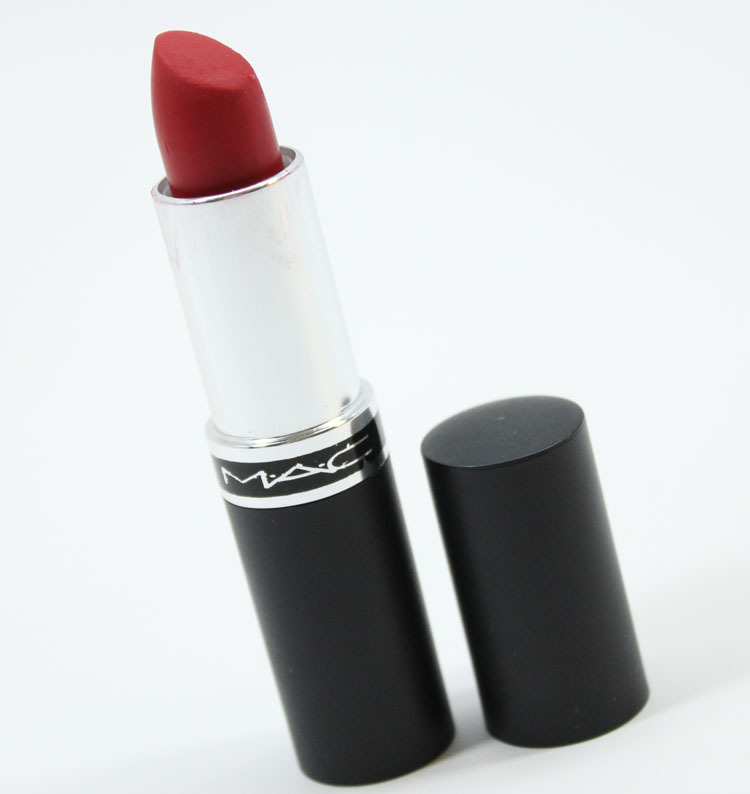 This of course is MAC Ruby Woo. I think that Ruby Woo was my very first matte lipstick, and definitely my first matte red. In fact this tube here is the original one I bought way back in the early/mid 90’s. Yep I still have it! Who else remembers when all MAC lipsticks looked like this? I like the rounder tubes better now, but I still have 4 or 5 with this older style. Ruby Woo is a classic blue-red shade with a matte finish. The finish isn’t completely flat though, there is a very slight satin-like sheen to it. I feel like maybe they changed the formula just slightly from this one here because this one tended to feel rather dry on me. The one you buy now feels more comfortable on the lips. 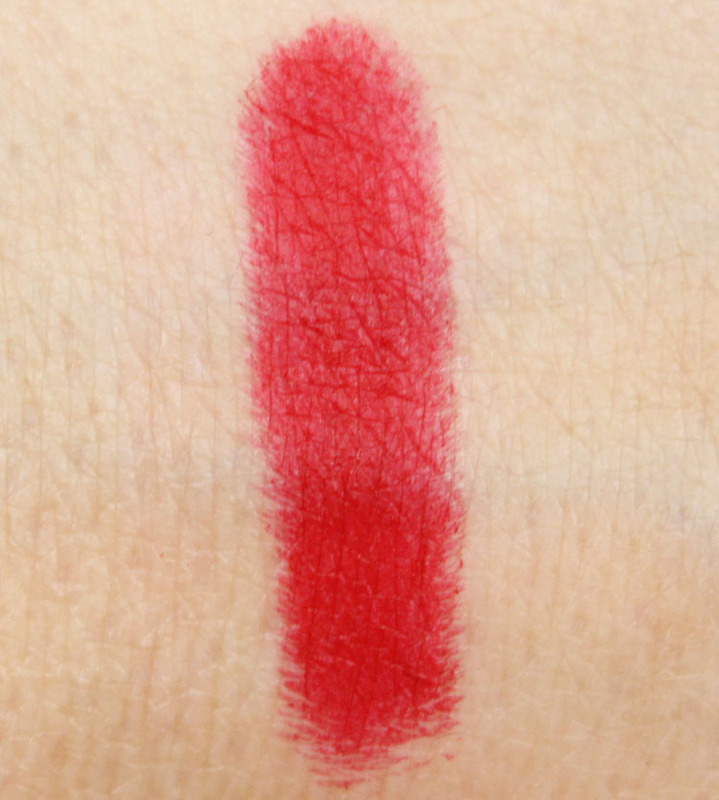 It’s just such a great, pigmented matte red, I think it will always be one of my favorites. Are you a fan of Ruby Woo?